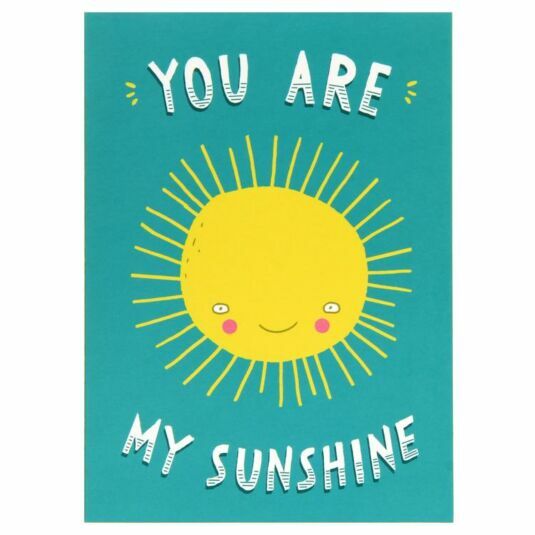 Send your special someone some sunshine on their birthday with this humorous card. Featuring a bright yellow sun with a smiling face on a teal background, this fun and quirky card is part of the Sunshine and Biscuits range from Brainbox Candy. The inside of the card is blank so you can personalise your message. A natural brown envelope is included.